Raipur, February 7: At least 10 Maoists were killed in an encounter with security forces in Chhattisgarh's Bijapur district today, police said. The encounter took place around 11 am in a forest in Bhairamgarh police station area when a joint team of the Special Task Force (STF) and the District Reserve Guard (DRG) was out on an anti-Maoists operation, Bijapur Superintendent of Police Mohit Garg said. "So far, the bodies of 10 Maoists along with 11 weapons have been recovered from the spot," he said. Search operations are still underway in the area, he added. Last month a woman naxal was gunned down on Friday in an encounter with security forces. The gun-battle took place at around 4 pm in the forests under Puspal police station area when a team of the District Reserve Guard (DRG) was returning after carrying out an anti-Maoist operation, Deputy Inspector General (anti-naxal operations) Sundarraj said. The DRG is a locally raised force vested with the task to tackle Maoists. 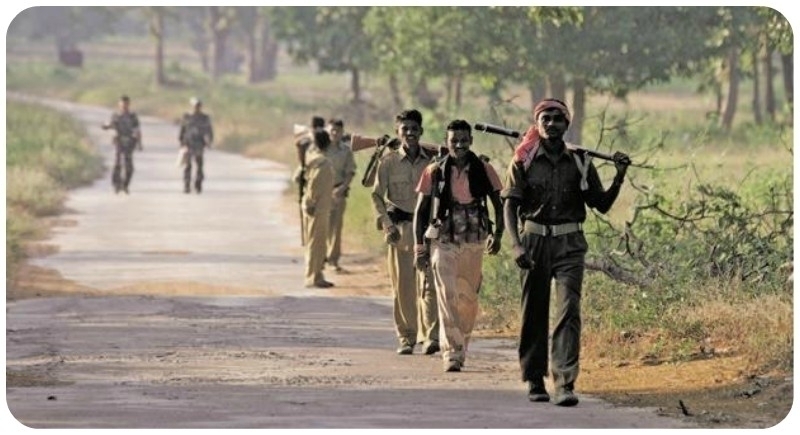 The security forces also killed one naxalite each in Encounters with the band Communist Party of India in Maharashtra and neighbouring Chhattisgarh. In Maharashtra South Gadchiroli the body of an unidentified male Maoist was retrieved along with the firearm and other materials including literature of the mouth after a joint team of C60 Commandos stormed a base camp in the Forest of hicad made near Chhattisgarh border.